Sunrise and sunset will be about 1 hour earlier on 4 Nov 2018 than the day before, which means there will be more light in the morning. WHAT’S NEXT with the tunnel? 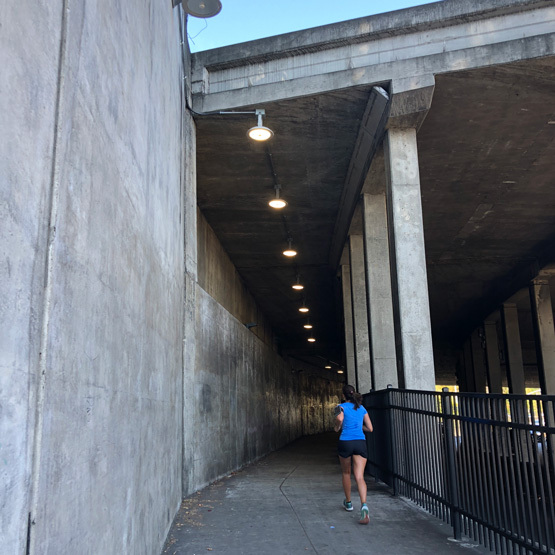 The surrounding walls (and internal passageway) are a giant blank canvas crying out for an arts project, and present the opportunity to bring together the two communities linked by the tunnel: Sausalito and Marin City. Leslie went on to say, “I would very much like to assist with a community process that will lead to a remarkable result that everyone is happy with—but it won’t be fast and it may not be easy.” and goes on to explain why, “With the previous proposals in past years, there has been a lead individual who had a great idea for what THEY wanted to see happen. They reached out to the local City Council and/or a community organization, such as the Rotary, and presented the idea and got support for the concept but, in the instances that I am aware of, the concept was developed without doing a true community process. From the standpoint of this office, it has been the lack of a true community engagement effort. That is to say, people have come forward with great ideas, and have on occasion reached out to certain entities, such as the Sausalito City Council, Rotary, Marin City Community Services District board, and our office, but did not engage the community at large to create something that had the buy-in and support from a broad constituency. As an example of a GREAT community process, I would look to Nancy Peach, who managed a truly inclusive process that resulted in a highly regarded mural at Rocky Graham Park in Marin City. That mural has never been vandalized or hit with graffiti. Transportation art requires that the local city/county sponsor agree to maintain the art work over the lifespan of the art work. From the County’s perspective, this would be an issue that we would need to discuss internally, especially regarding any graffiti removal that may occur. This would be a cost and expense that is not currently budgeted. Caltrans owns the site, and the County maintains it on a very limited budget of staff time and available materials. Obviously the Marin City Community Services District and the City of Sausalito have an interest in what happens. And then there are all the community members. 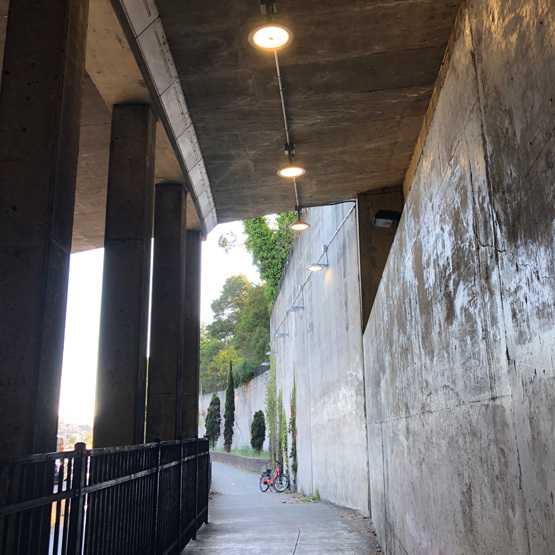 We’re grateful that there are interested and well-meaning folks who want to see the underpass enhanced, but to truly get this off the ground, this project will need someone who understands the complexities, can effectively reach out to all stakeholders, navigate the regulatory and funding issues, and ultimately have broad buy-in and support. Everyone has a vision of what could happen, including style, story, and materials, but creating consensus on what a singular approach will be is a challenge—a worthy challenge, but not an easy one.